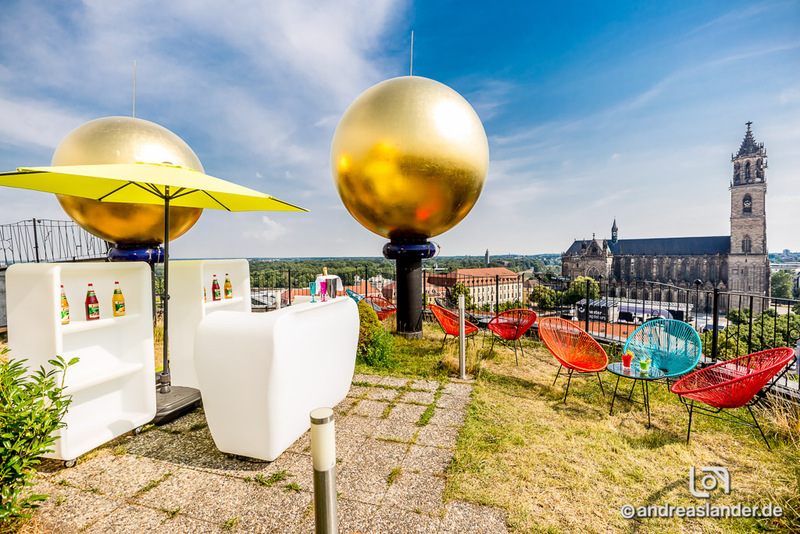 Bridal couples can now say ‘yes’ high above the roofs of Magdeburg. But the Citadel’s ‘Skyroom’ is not just reserved for the enamoured; it is a multi-purpose function room. Magdeburg’s Green Citadel brings bridal couples a little closer to cloud nine. 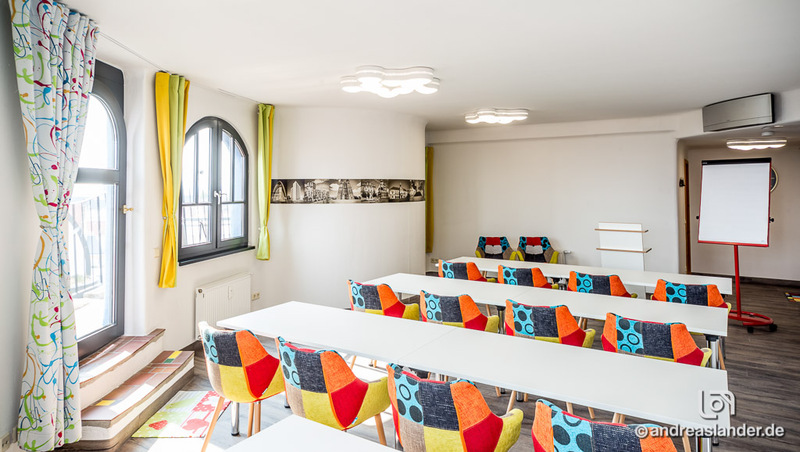 A registry office has been opened high up in the main tower of Friedensreich Hundertwasser’s striking building located between the Domplatz (cathedral square) and Breitem Weg. This eccentric building with a ‘pink-washed’ facade stands out in the city. Bridal couples are obviously responsible for their own rose-coloured glasses. The city of Magdeburg opened an official registry office in the tower so the state’s blessing of the marital union is provided for. It is located in the ‘Skyroom’, a newly purpose-built function room. The ‘Skyroom’ includes the very visible green rooftop terrace with the three large golden globes, which are repeated three times in the name. 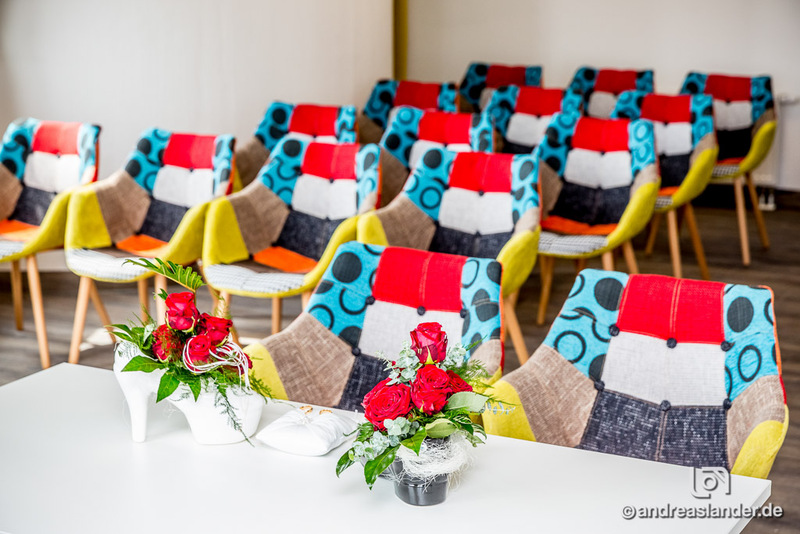 “Bridal couples in Magdeburg can now say their vows in front of a registrar in the Green Citadel” says Hendrik Grebe, who runs the Hundertwasser building’s ‘artHotel’ together with his husband Stefan. In addition to the hotel, they have just opened a newly furnished ‘heavenly room’ on the tenth floor. “From this vantage point, visitors can not only enjoy the fantastic views over Magdeburg, but can also discover why the building with its green roofs and trees is actually called the Green Citadel. This is not so apparent from street level at first glance”, says Stefan Grebe. These elevations are not reserved for bridal couples and their guests. 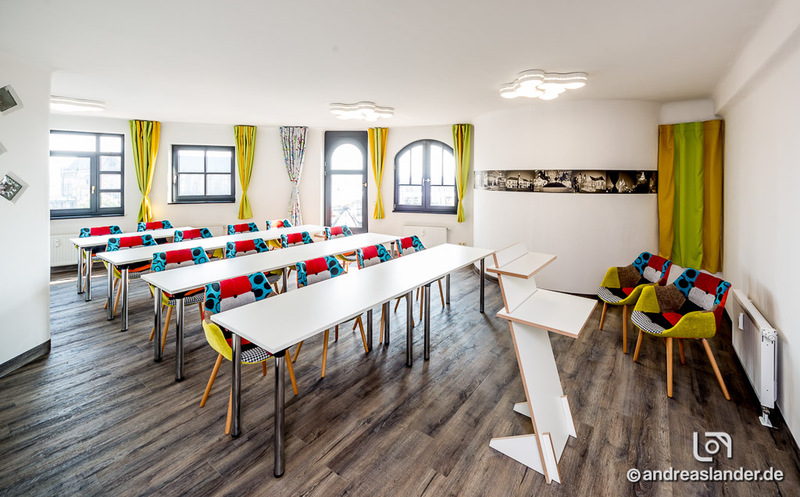 “The ‘Skyroom’ that spans two floors caters for all kinds of events, including corporate training courses, conferences and workshops. Flexible working areas can be made available, whether it be chairs with integrated tables, working islands or lounge-style furnishings”, Stefan Grebe explains. Projectors, sound system and wireless network are integrated into the air-conditioned premises, which include a kitchen. The rooftop terrace with its deck chairs is inviting to any visitor whether they be a guest at a party or employee at a company meeting. But at the centre of this heavenly ensemble is Hundertwasser’s unique architectural design. The building’s operators plan to introduce visits to the tower and other events for the public in the future.